Battersea Dog’s Home – Battersea reunite lost dogs and cats with their owners; or care for them until new homes can be found. They also educate the public about responsible pet ownership. Every year the Battersea cares for over 10,600 dogs and cats. The Dogs Trust – Dogs Trust, formerly the National Canine Defence League, is the largest dog welfare charity in the UK. Happy Staffie Rescue – This charity, run by volunteers, aims to rehome unwanted Staffys and Staffy cross dogs. The Kennel Club – The Kennel Club is the UK’s largest organisation dedicated to the health and welfare of dogs. It offers dog owners an unparalleled source of information, experience and advice on dog welfare, dog health, dog training and dog breeding. 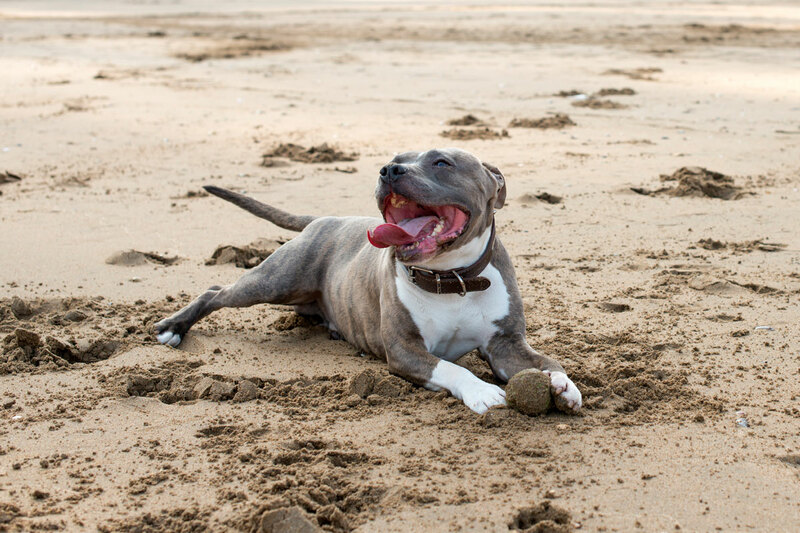 North East Staffordshire Bull Terrier Rescue – This North East based charity offers advice to Staffy owners and help with re-homing dogs if necessary. Northern Staffordshire Bull Terrier Rescue – A voluntary organisation dedicated to providing help to distressed or abandoned Staffordshire Bull Terriers, and advice to Staffy owners. RSPCA – The UK’s largest animal welfare charity. Rescuing, rehabilitating and rehoming hundreds of thousands of animals each year in England and Wales. Offers advice on caring for all animals. Campaigns to improve, and enforces through prosecution, animal protection laws. South Coast Staffie Rescue – A Sussex based voluntary team of dedicated Staffy owners and lovers offering advice and help with rehoming. Staffie Rescue – A charity set up to help rehome, care for and love damaged and abandoned Staffys.